This August 5, 2003, file photo shows Starbucks coffee cups. Starbucks is bringing oat milk to five U.S. locations, starting Tuesday. Oat milk has a texture and taste that more closely resemble cow’s milk than other dairy-free alternatives like soy and almond milk. Starbucks’ entry into oat milk comes as Americans’ appetites for milk alternatives keeps growing. The oat milk trend doesn’t look like it is dying anytime soon. 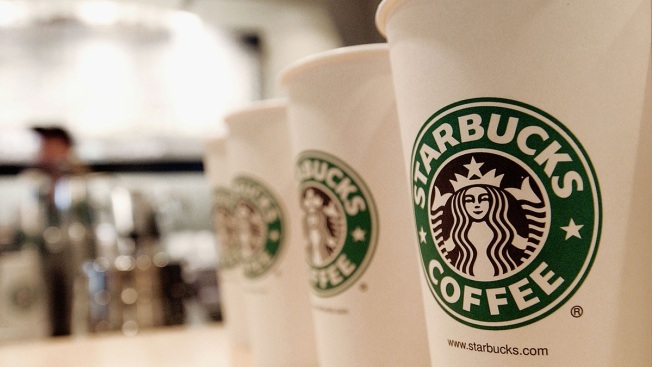 Coffee giant Starbucks will start offering the dairy-free substitute Tuesday at five locations, another sign that oat milk could be here to stay. Oat milk has a texture and taste that more closely resemble cow’s milk than other nondairy alternatives like soy and almond milk, even when steamed for lattes. The dairy-free milk is made by soaking steel-cut oats in water, blending the mixture and then straining it. Starbucks’ entry into oat milk comes as Americans’ appetites for milk alternatives keeps growing. Some, like quinoa milk, have struggled to take hold, but almond and soy milk remain among the most popular options. U.S. nondairy milk sales grew 61 percent to an estimated $2.11 billion between 2012 and 2017, according to a Mintel report. Overall dairy milk sales declined by 15 percent to $16.12 billion during the period. The oat milk craze in the U.S. started several years ago when Swedish company Oatly arrived stateside. Enthusiasm briefly faltered last summer when skyrocketing demand led to a shortage of oat milk for the several hundred New York City coffee shops that offered the dairy-free substitute. Oatly is opening its first U.S. production plant this spring to help ramp up supply. Other beverage companies are now jumping on the trend, with PepsiCo’s Quaker Oats launching its own version in November. Starbucks started offering oat milk in European locations in early 2018, but it’s finally bringing the dairy substitute to the U.S. as the trend grows. However, for now, its U.S. availability will be limited to five Starbucks Reserve locations in three cities: Seattle, San Francisco and New York. The coffee chain has been using the upscale Reserve stores to launch innovative new drinks, like its Nitro Cold Brew, before rolling them out nationwide. They’re also part of a strategy to defend against high-end upstarts, like Intelligentsia Coffee & Tea — which was also the first U.S. coffee shop to offer Oatly. Oat milk fans can also order the vegan substitute at three of Starbucks’ Princi bakeries in Seattle, Chicago and New York.